INDIANAPOLIS (Sept. 24, 2015) – Ironworks at Keystone, Indianapolis’ premier living and retail property, is welcoming one of Indianapolis’ top-rated hair salons, G Michael Salon, to its esteemed list of retail tenants. The salon is expected to open in early 2016. The award-winning salon has served clients in the Central Indiana region, including Carmel, Fishers, Noblesville, Westfield, Indianapolis, Greenwood and Zionsville, for more than seven years. The highly educated and well-trained stylists focus on providing customers an unforgettable experience by offering a variety of services and using leading products. The Artistic Design Team of 11 stylists specializes in creating current customized looks that complement guests’ lifestyles. To do so, the team takes face shape, skin tone, eye color, overall lifestyle, and the time and commitment to achieve the style on an everyday basis into consideration. G Michael Salon specializes in all hair types, hair extensions, hair color and correction, ombre color, precision hair-cutting, conditioning treatments, blowouts, bridal hairstyles, facial waxing services and more. They also proudly promote and use the J Beverly Hills organically-infused product line, Wella Professional Hair Color product line, Hot Tot Haircare, as well as select products from Joico and Kenra. The salon has formerly been a recipient of the following awards from The Indy Channel A-List Awards: BEST Hair Salon, BEST Hair Color and BEST Waxing. They’re also regularly featured in salon industry publications, including Sophisticate’s Hairstyle Guide. G Michael Salon is open six days a week. Hours of operation are 9 a.m. – 7 p.m. Monday through Friday, and 8:30 a.m. – 5:30 p.m. on Saturday. The salon joins a growing and diverse list of retail offerings at the property as only approximately 3,500 retail square footage remains available at Ironworks. Other retail tenants include Profyle Boutique, Vogue Nail Spa, Scottrade, Sangiovese Ristorante, Ruth’s Chris Steak House and B Spot Burgers. Located at 86th St. and N. Keystone Ave., Ironworks at Keystone is an award-winning 5-story mixed-use development with nearly 36,000 square feet of shopping and fine dining on the first floor. Creative and chic residential apartments compliment the retailers and neighborhood. To learn more about Ironworks at Keystone, visit www.ironworksindy.com. You can also find more information on Facebook and Twitter. 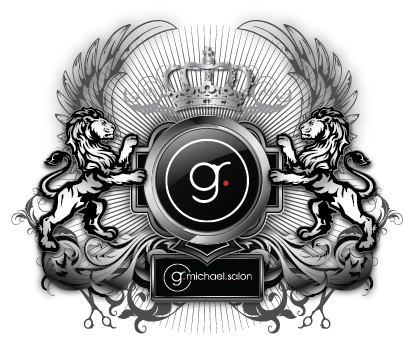 For more information about G Michael Salon, visit http://gmichaelsalon.com/. You can also find more information and occasional special offers on Facebook, Twitter, Instagram and more. Ironworks at Keystone, owned by Hendricks Commercial Properties, is a distinct 5-story development that brings even more quality and character to the already prestigious Keystone neighborhood. Ironworks at Keystone features nearly 36,000 square feet of fine dining and shopping, 120 modern residential apartments, and immediate access to The Fashion Mall, Whole Foods, the Keystone offices and the Monon Trail. Live, work and play in perfect balance at a place designed to embody convenience and comfort with endless possibilities. Voted the best hair salon in Indianapolis, G Michael Salon has been featured on FOX 59, involved with numerous make overs, showcased in current hair trends in North Magazine, and featured as an exclusive salon in the best-selling Hair Salon Magazine, Sophisticate’s Hairstyle Guide. The G Michael Salon artistic design team has some of the most sought after hair designers in Indianapolis. G Michael Salon always has the honor of placing in top awards from the Indy Channel A-List for Best Hair Salon, Best Hair Color, and Best Waxing.